All the goals, encouraging displays, and ranking hikes that the Indian team had boasted about when the AIFF decided to go on a war with the IOA after the team’s exclusion from the Asian Games, eventually amounted to nothing, for as far as “progress” in results matter, India seem to be stagnant. After the success of the U-17 FIFA World Cup, hosted by India, where the young Indian team was ousted in the group stage, the “dream of the World Cup” was very ambitiously endorsed to the nation before India Super League. However, if one cannot go past the group stage of the Asian Cup, how much of a difference would be qualifying for World Cup, even if we did by some unimaginable way, matter? Make no mistake about the progression that India have made otherwise. Under Stephen Constantine’s management and the Indian Super League doing exactly what they had promised, Indian football has come a long way in terms of putting a structure into place and having a competition that would churn out talent on a regular basis. And the important thing now would be to remain persistent with the vision regardless of the short-term failures here and there. 2019 World Cup semi-finalists, Belgium had a very similar problem back in the 1990s where they had players with individual talent who could be strung together well and produce impressive outcomes at times. But, it was largely a defensive approach with a counter-attacking design to release pressure. Consequently, while they were regularly reaching preliminary rounds, group stages, and sometimes even the knockouts of the biggest tournaments, they couldn’t reach positions from where they had a genuine shot at glory. However, things started to change in 2006, when their technical director Michel Sablon proposed the federation to play with a fixed setup at every youth system in the country. A thorough analysis of their strengths and further tapping into successful philosophies of France and Netherlands, Belgium had decided to improve their 1v1 game from every individual position and decided to perfect the 4-3-3 setup. It was, what most would call, an idealistic vision, extremely blurry to be executed, but they went with it. When Sablon was asked about the team’s chances that year, he had smiled and said, “For sure, no”. And he was right, as Belgium failed to qualify in the 2006 and 2010 editions. But, the evolution was reaching fruition thereafter as they moved from not qualifying to the second runner-ups in 2014 and last year, they finished third defeating huge favourites Brazil in the process. 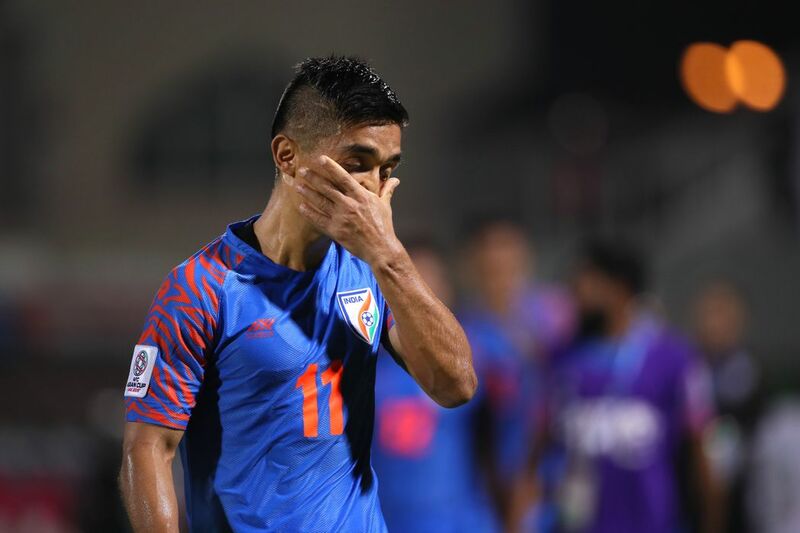 While Constantine should be credited for setting the ball rolling that has shown the path towards making the Indian team one of the best in their football history, it wouldn’t be fair to state that he did a brilliant job. Taking charge of India back in 2015, Constantine had to comb through a plethora of options in numerous positions before the manager could get his 23-man squad for the Asian extravaganza. But, while giving young chances is a commendable job, his inability to take India any further, is a fair criticism. For a manager as experienced as Constantine, who has previously been associated with clubs like Bournemouth, Millwall, and Apollon Smyrnis among others, and countries like Rwanda and Nepal, before taking charge of the Indian team for the second time, the Englishman surely didn’t outdo himself. Interestingly, his best points-per-match ratio as a manager came with the Indian team, which further hints that the All India Football Federation (AIFF) in their pursuit of India’s next coach would need to raise their standards. One of Indian football team’s biggest criticism has been the standard of their opponents in international friendlies. Apart from their Asian Cup qualification opponents, choosing who were not in India’s hands, they have played with Puerto Rico, Mauritius, St. Kitts, and Laos before the Intercontinental Cup last year. 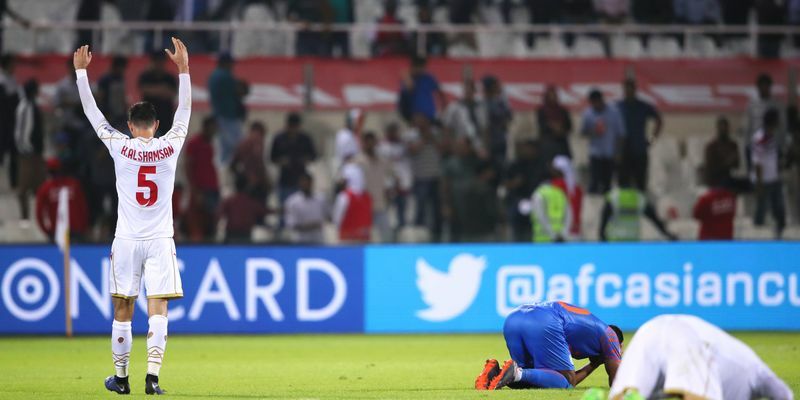 Now, the Intercontinental Cup was a good, if not ideal, parameter to judge the progress of the team before the Asian Cup finals, but the total lack of similar tournaments or friendlies in Constantine’s four-year reign proved to be India’s Achilles ankle in the end. It is also no secret that playing at the club level is a totally different ball game from the one at the international level and what India really needed before the Asian Cup was competitive practice games against stronger opponents. For example, India’s victories against Kenya, who looked physically superior, revealed that India could beat them with better technique. However, their defeat to a second-string New Zealand side, who were superior both technically and physically, was a problem. In hindsight, India’s experience against China and Oman looked totally absent during the tournament. This eventually brought their downfall at the Asian Cup where a win over Thailand was so overhyped that India failed to cover their deficiencies against UAE and Bahrain. When it comes to choosing Constantine's replacement, this would be an aspect that the board needs to keep an eye on. While the Englishman was sound as far as his tactics in approaching a game were concerned, he often failed to identify the subtle nuances of the game. For example, India aiming for a draw against Bahrain in their final group stage last week was quite evident by the line-up Constantine fielded, with Rowlin Borges the only tweak. However, soon into the game the NorthEast United midfielder looked out of ideas at the face of Bahrain’s high pressing, and while Constantine should have ideally defined his role more clearly at half-time, we didn’t see any change in his game whatsoever. A worrying observation from India’s Asian Cup campaign was also the players’ lack of fitness. The only time the Blue Tigers looked at the top of their game was when they attacked, which was crystal clear during the Thailand game. However, they failed to keep up that intensity in the second half of UAE and during the full 90 minutes against Bahrain. Halicharan Narzary had even admitted that playing three matches in a span of 10 days was taking a toll in players. If banking on their attacking arsenal is India’s only way forward which is a huge probability given the numerous attacking talents coming out of the ISL and the national team’s evident composure at the offence, India would be needing someone at the helm who could build a team around its strengths. And they don’t need to look beyond their cricketing counterpart for inspiration. Fortunately, under some brilliant managers in ISL, India have options in the Sahal Abdul Samad, Michael Soosairaj, Lallianzuala Chhangte, Jerry Mawihmingthanga and more, who look tailor made to adapt to play possession-based football, which India couldn’t play against Bahrain, as well as the high pressing one, which India did execute well only though for one game. 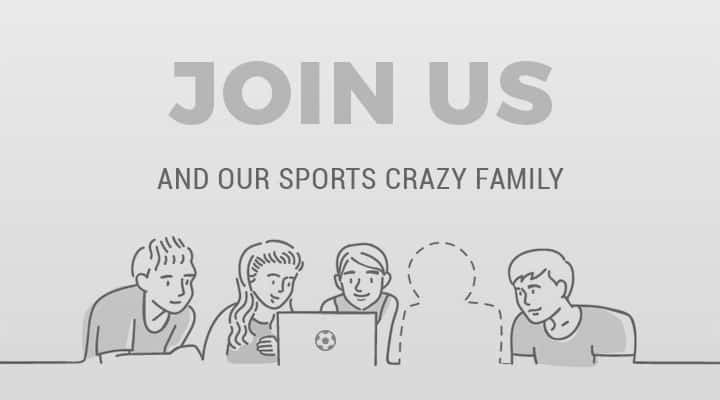 While Belgium’s blueprint to start from the grassroot level is seemingly improbable to implement in a massively populated country like India, finding an ideal setup after extensive study on available talents, and superimposing the players upon it looks like a more feasible solution – albeit not ideal. Till then, India need to, as Rudyard Kipling would say, “meet with triumph and disaster and treat those two impostors just the same."